The Salt Lake Community College men’s basketball team cut down the nets as national champions for the second time in school history on Saturday. The Bruins, who entered the tournament as a No. 13 seed, defeated the No. 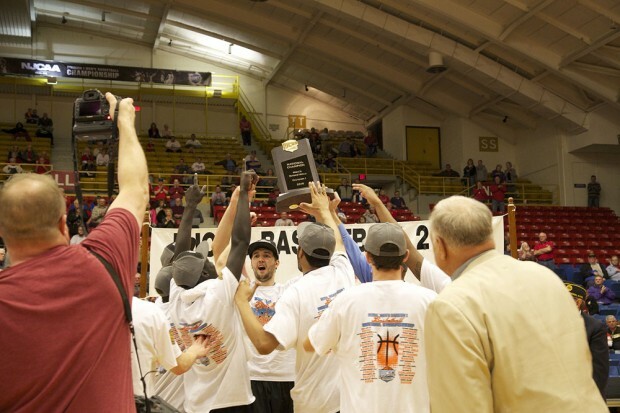 7 seed Hutchinson Blue Dragons on their home court 74-64 to win the NJCAA Men’s Division I Basketball Championship. 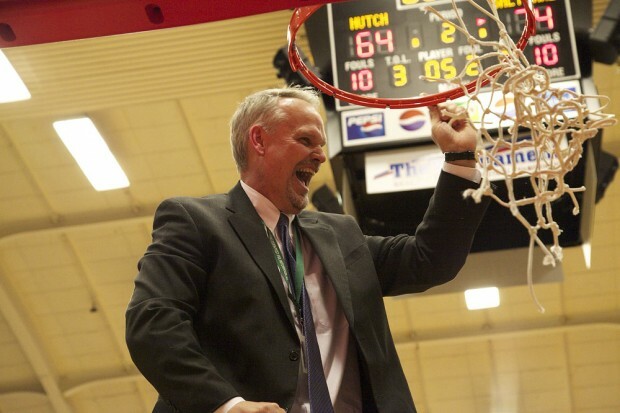 This was SLCC’s first national title with Head Coach Todd Phillips at the helm. 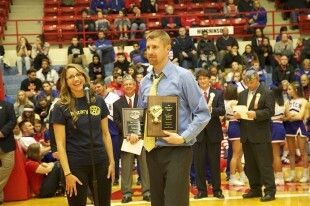 He was presented with the Coach of the Year Award. “It’s a little surreal feeling right now,” Phillips says. “Every day after a win you are back to preparing for the next game, being up ’til two in the morning with your assistants. It’s finally starting to sink in. Tournament MVP Conner Toolson paved the way for his team, scoring a game-high of 28 points on 11-of-20 shooting. Sophomore forward Tyler Rawson, who ended his career as a Bruin, posted a double-double with 16 points and 11 rebounds. Phillips credits the players for maintaining their focus. “It was a long road, with five game in six days, but the boys were able to sustain their effort, sustain their defense and intensity and were able keep a consistent effort throughout the tournament,” Phillips says. The championship caps an incredible journey for the Bruin basketball team.